Divorce isn’t all about yelling across a courtroom at your ex or divvying up your belongings. It’s not just about crying about the situation or telling your kids in a family meeting. Going into your divorce you might have some expectations about what the outcome is and how you’ll deal with your ex and the divorce lawyers. You might think that you’re going to win your divorce or that your spouse will drain you dry of your money. 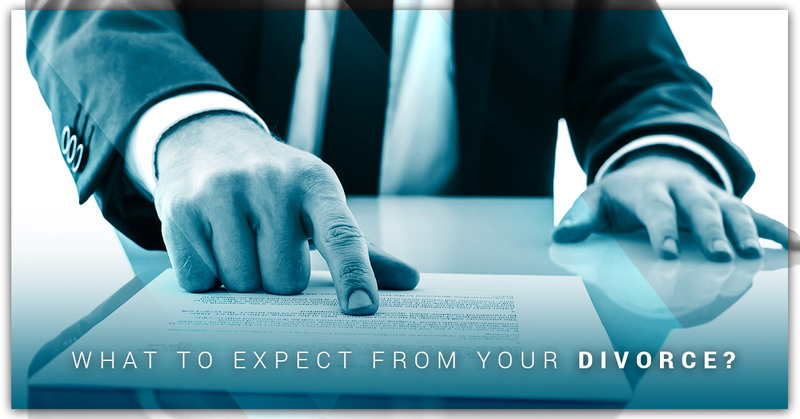 Let’s take a step back and re-evaluate your expectations with our blog from a divorce lawyer. We want to help you understand what exactly it means to get divorced and what you can expect from it. For further information on divorce, contact a divorce lawyer today. Take what you know about divorce and place it on the back burner. Go into your divorce without thinking about what you figured your divorce would be like. Instead, take into consideration the below factors to allow you to go through your divorce with an open mind. For people who can’t grasp the ‘big picture,’ this might be difficult for you. You might be obsessing about your past together or perseverating on the future without your partner. You might be thinking about how you’re going to prepare while still being stuck in your past relationship. By opening up to the idea of being a big picture person, you can make decisions that are in everyone’s best interest. Being a big picture person allows you to open your eyes to everything around you by forgetting what happened in your past with your partner and focusing on the best results for the future. Take the time to approach your divorce with a desire to work with your partner to ensure the outcome is best for everyone. In divorce, there’s no winning and you shouldn’t go into your case thinking that you will be the victor. Divorce isn’t about beating your spouse in court. In divorce, there’s generally not a winner even if one parent is able to gain the upper hand in the division of property or child custody. Neither of you is going to have everything you want. In fact, even if you think you’ve ‘won’ your child custody battle, that doesn’t mean you’ll come out unscathed with financial woes. Winning is pointless in divorce court and you’ll most likely be given a little of what you want and have to deal with the repercussions of other areas of the divorce such as taking a financial cut or only getting the kids a few days a week. Always remember that even though you’re getting divorced your kids aren’t and you’ll need to have some relationship with your spouse. It’s easy to become wrapped up in the divorce proceedings, which is why it’s vital that you keep your kids in mind. Your child will want to have a relationship with each parent and it’s important that you honor this. Additionally, try not to mention anything that’s cruel in front of your child because it could have long term effect. Divorce is filled with expectations, which is why it’s important when you speak to a divorce lawyer you know exactly what you’re getting into. If you’re searching for the right divorce lawyer for you, then come to Lopez & Wilmert to see if we’re the correct fit for you.